During Energy Innovation on 20 Sep 2018, EMA and Enterprise Singapore jointly launched a Grant Call for Small and Medium Enterprises (SMEs) to develop solutions for deploying solar energy and optimising energy consumption. 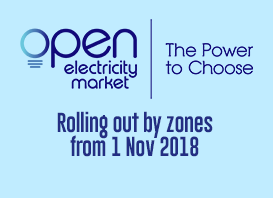 This is in line with EMA’s efforts to catalyse R&D initiatives to keep Singapore’s energy options open and strengthen the resilience of the power system. The inaugural joint grant call seeks to build up SMEs’ capabilities and intellectual properties in the energy industry, while supporting the growth and the internationalisation of their businesses. More information on the Grant Call and application process can be found at the Gov-PACT portal. All proposals must be submitted by 8 January 2019, 12pm (UTC+8).